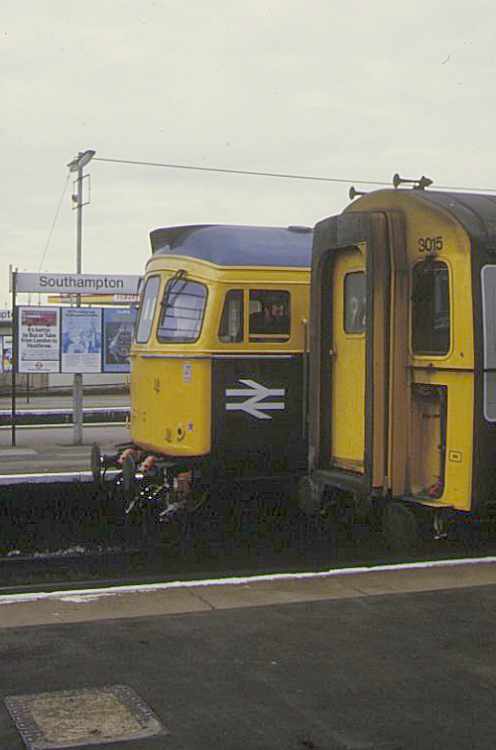 4-REP 3015 awaits departure for London whilst 33002 pauses behind. 25th September 1984. 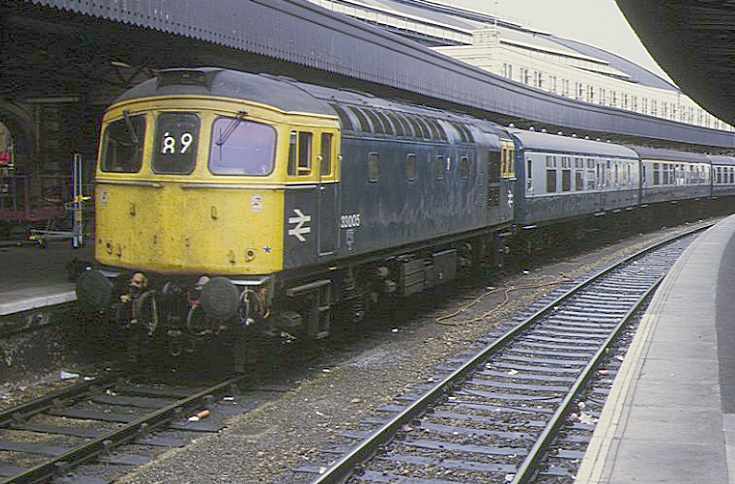 33005 at Bristol Temple Meads with a Portsmouth Harbour service. 2nd August 1984. 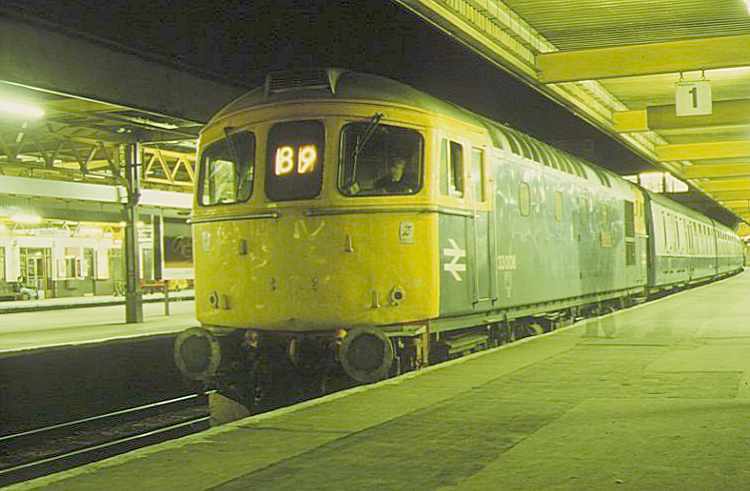 33008 stands at Southampton with the 18:10 Cardiff - Portsmouth Harbour (1O93) of 25th September 1984.